Sturdy, stylish, reasonable in price. 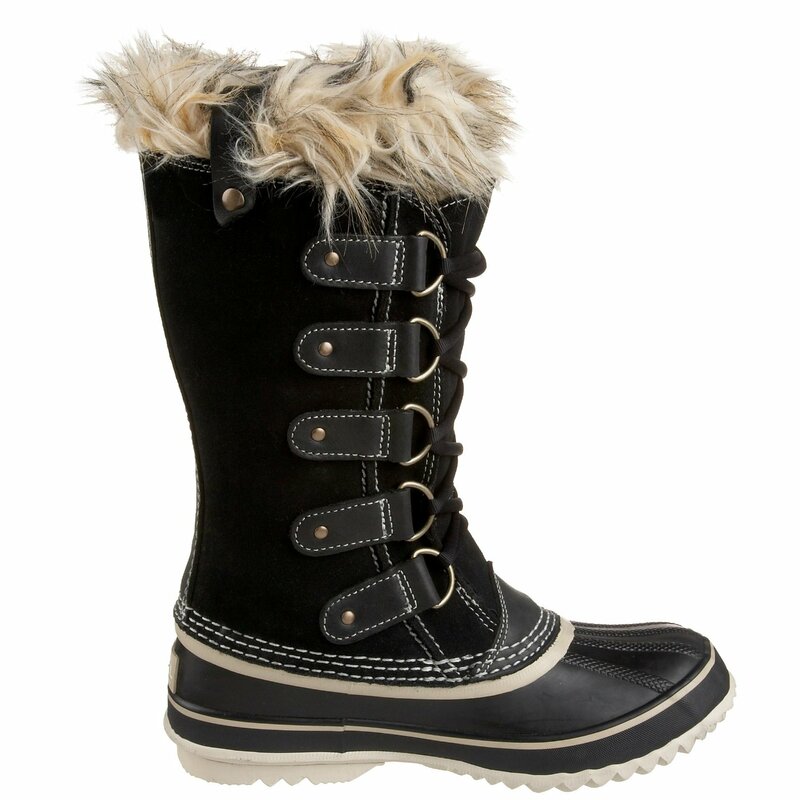 Lightly padded faux fur lining inside the boots for warmth and comfort. The instep zipper for easy on/off and the quilted zipper double buckles for the style. The lightly cushioned insole for the comfort. It fits well on athletic and larger calves. The boots zip easily and fit over skinny jeans. Slip a bit with the regular socks. This is the summary of consumer reviews for Dream Pairs Women's Knee High Riding Boots (Wide Calf Available). The BoolPool rating for this product is Very Good, with 4.40 stars, and the price range is $29.99. 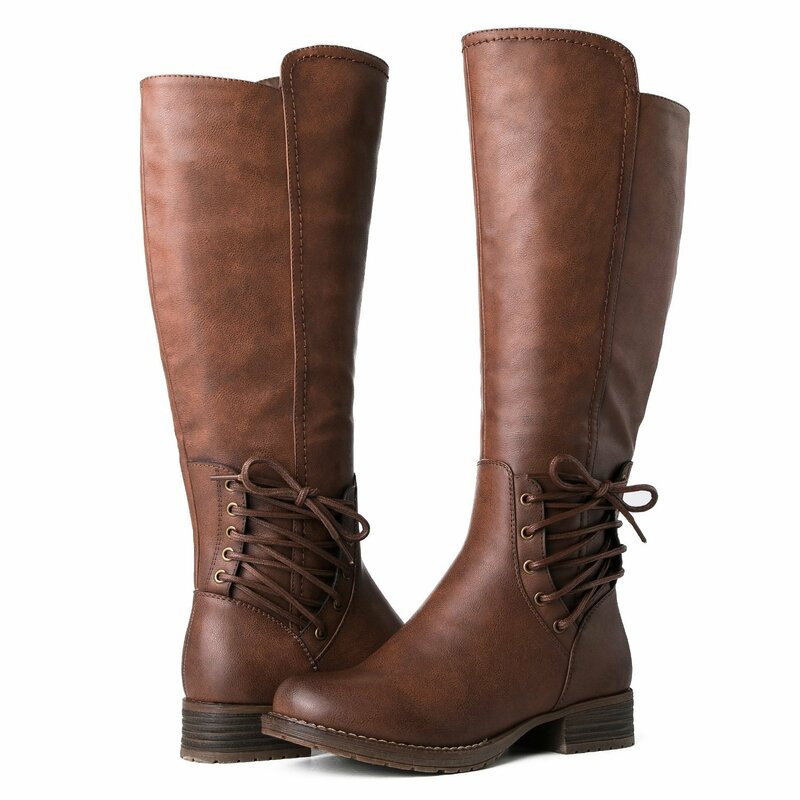 Dream Pairs Women's Knee High Riding Boots is sturdy and stylish. 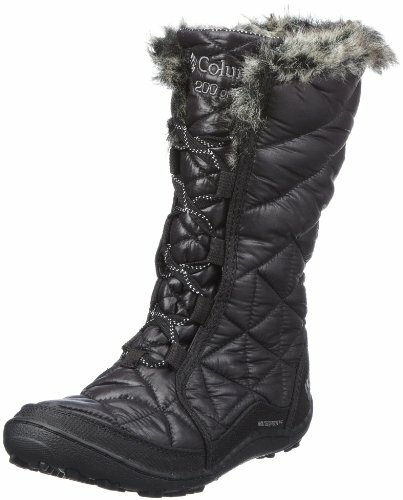 It features lightly padded faux fur lining inside the boots for warmth and comfort, the instep zipper for easy on/off, quilted zipper double buckles for the style, and the lightly cushioned insole for the comfort. They are available in many beautiful colors and sizes. 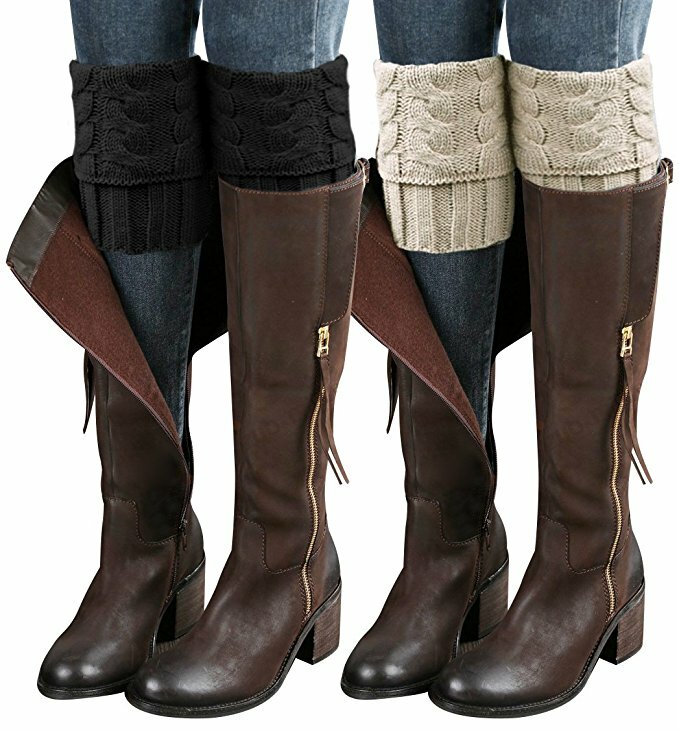 Users love Dream Pairs Women's Knee High Riding Boots for the quality and the price. It fits well on athletic and larger calves, zips easily and fit over skinny jeans, runs true to size, and also has little room at the foot and the ankle. However, some people found Dream Pairs Women's Knee High Riding Boots too big and clunky and slip a bit with the regular socks. 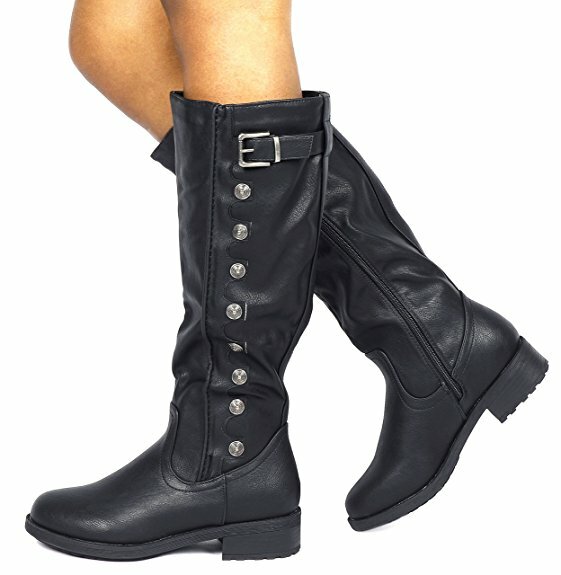 Overall, Dream Pairs Women's Knee High Riding Boots is a perfect boot for comfort and style. These boots look sturdy and stylish. They are good quality for a very reasonable price. Nice boots but the regular calf boot is really wide. Nice to finally find a boot that fits a truly wide calf. I'm size 5 and they fit me nicely, with some leeway if I wanted to wear warm socks. Nice good for the prize. Very nice, no break in wear them all day no problem. They look nice, are sturdy and warm...seems good quality. I fold over my socks to keep them upright. There's a zipper on the inside of the boot for actual use, in addition to the zipper on the outside for style. The inside of the boots lined with faux fur for warmth and comfort. The zipper inside of the boot for adjusting, and outside for style. A little room at the foot and ankle. They slip a bit with the regular socks but fine with the thick socks. Love these cute and comfy. 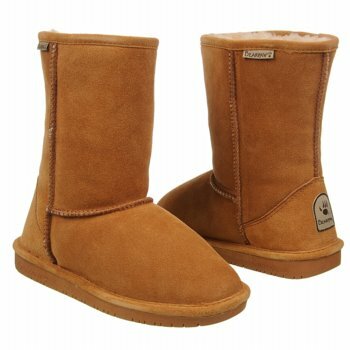 Really cute boots at a very reasonable price. 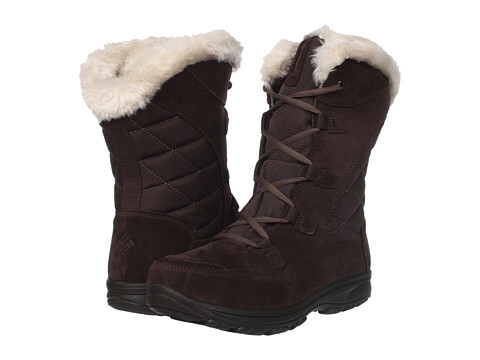 Theyre cute, theyre sturdy, and theyre really warm because theyre lined with faux fur. 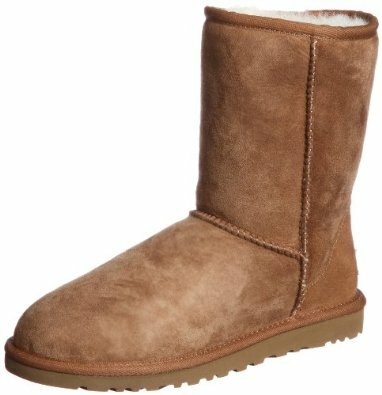 these boots are so cute and comfy..the inside are lined with fabric to keep your legs warm...love the gold zipper on the side and the buckles to adjust width of boot. A little too roomy at the foot and ankle. If youre a normal sized person, buy these boots. With normal socks they slip a bit but with heavy socks they're fine. These boots are too big and clunky. The boots run a little big. I really like these, they fit as expected (my calfs are a little big). but I may decide they're too big. I always get compliments on these boots. The colors of the boots are beautiful. They run true to size. They fit over the calves perfectly. These are not the lightweight boot. They're beautiful and fit perfectly. Super cute boots, they fit very well in the calf, i actually have a fit of room! I'd give them 10 stars .beautiful color and fit . Good fit perfect quality my wife its so happy. They do run true to size...I wear a 9/perfect fit. They fit well and are soft and cozy. Loved these boots, they're beautiful, just disappointed, they didnt fit in the leg and they dont have any give, soooooo close to fitting!. Fit my wide calf, but the ankle was extremely baggy. My bf purchased these boots and they fit great. I gave them a 5 because they fit over my calves perfectly!! 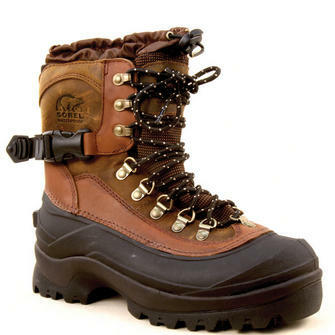 I'm 5/5 and they fall right under my knee, so they're long enough; however it you want a lite weight boot, these aren't them. The boots fit well on athletic and larger calves. It zips easily and fit over skinny jeans. Fit perfectly and very warm. Cute boots and fit as expected. They fit as expected and are really cute. Great boot just right fit. These wide-calf boots fit perfectly and are comfy. I've athletic calves and these boots fit well. I've narrow feet and ankles but larger calves and these fit perfectly! Fits around my 17.5 inch calves with tights on, but zipping is a challenge. They fit well and are comfortable, just go all the way up to my knee. This's the first pair of boots Ie had that zip easily and fit over skinny jeans. The insole of the boots is comfortable. Really comfortable, fit really well and they're a nice color. Beautiful, nice quality, and comfortable. They fit well and they're so comfortable. I've wide feet, size 9. These boots are comfortable and roomy enough to wear warm socks. Very nice boots, I haven't wore them out yet but they feel comfortable. The sole of them are SOLID and so extremly comfortable.